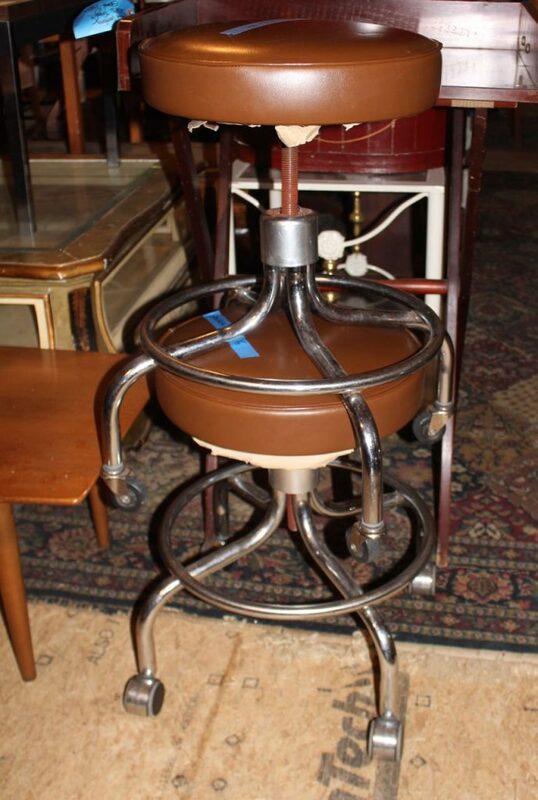 We just picked up this pair of vintage, American-made industrial stools on wheels. Original vinyl. Original labels. Very good condition. Priced individually.